Albuquerque Mendes illustrates the new vintages of Esporão Reserva and Private Selection. 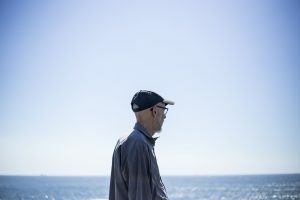 The artist, who lives and works in Leça da Palmeira, was part of the Círculo de Artes Plásticas de Coimbra (CAPC – Coimbra Visual Arts Circle), between 1970 and 1975, where he carried out his first individual exhibition in 1971. He was a pioneer in Portugal in performance art the 1970s, gaining national and international acclaim in the decades that followed, particularly in Brazil, through painting. 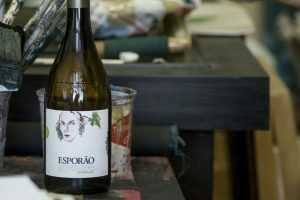 Esporão’s relationship with art dates back to 1985, the year when Esporão launched its first wine. This initiative of inviting an artist every year to enrich and customise the labels of each vintage of Reserva and Private Selection led to the privilege of receiving the talent and generosity of 31 Portuguese artists, as well as 2 from Angola and 1 from Brazil. The first wine to be launched on the market was Esporão Reserva White 2017. The vintages Esporão Reserva Red 2016, Esporão Private Selection White 2017 and Red 2015 will also feature labels illustrated by Albuquerque Mendes, in collaboration with Estúdio Eduardo Aires. Esporão Reserva White is a classic and iconic wine, produced from the typical Alentejo varieties Antão Vaz, Arinto and Roupeiro – grown at Herdade do Esporão. Crystal clear, straw-coloured with green hues, this wine features aromas of yellow fruit, grapefruit and lemon, with touches of spice. 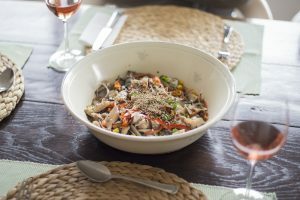 On the palate, its creaminess, structure and volume combine in an excellent balance and body from the fruit. A long and intense finish. A story of love and memory.